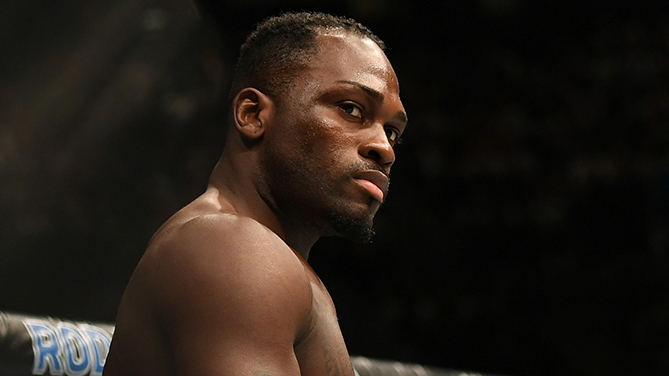 As a professional fighter who puts it all on the line in front of the world every time he competes, Derek Brunson wasn’t likely to be the one evacuating when Hurricane Florence hit his native North Carolina in September. So as the storm came in, Brunson kept it as business as usual as he could, and thankfully, he made it through unscathed. What may be even more notable is that Brunson’s preparation for his Saturday showdown against Israel Adesanya wasn’t disturbed too much, either. In other words, nothing rattles Derek Brunson. “I don’t get rattled by too much, not at all,” he laughs. It’s a key reason why Brunson sits at the number six spot in the middleweight rankings, a place earned by wins over the likes of Lyoto Machida, Uriah Hall, Sam Alvey and Ed Herman. 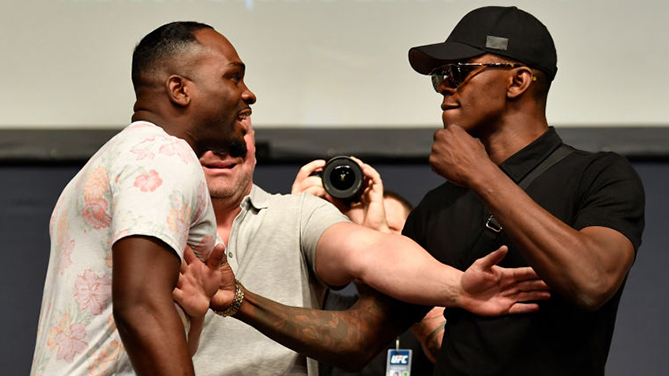 Sure, there have been some bumps in the road over the years, most notably a loss to “Jacare” Souza in their January rematch, but if Brunson has proved anything, it’s that win or lose, he’s a dangerous man on fight night, something rising star Adesanya must be aware of. “It’s funny, because that kid is a talker,” he said of Adesanya. “He likes to talk a lot of trash before the fight, and I noticed that toned down. I know he’s feeling it now, he’s feeling that pressure that he said all this and now he’s gonna have to back it up. So there was not even a thought in Brunson’s mind that as Florence roared into town, he might have a reason to not show up in New York City this weekend. That’s even if NYC wasn’t that great to him his last time there, when he lost a controversial decision to Anderson Silva in Brooklyn in February of 2017. That outcome still stings the 34-year-old, but he’s prepared for a better outcome for his second visit. Is that easier said than done? Brunson doesn’t think so, saying that it all comes down to maturity in the game. And with 13 UFC bouts to Adesanya’s three, Brunson has every intention of taking the New Zealander into deep waters in the middle of Manhattan.